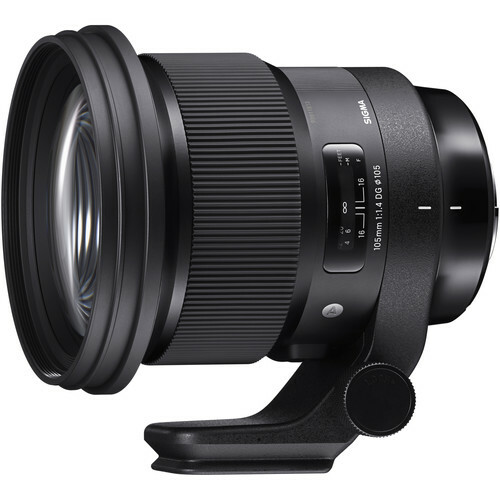 Sigma 105mm f/1.4 DG HSM Art Lens Priced $1,599, Available for Pre-Order Now! Good News! The newly announced Sigma 105mm F1.4 DG Art lens is now available for pre-order at B&H/ Adorama. It costs only $1,599, available for Canon EF, Nikon F, Sigma SA and Sony FE mounts. Compared Nikon AF-S Nikkor 105mm f/1.4E ED lens priced $2,196.95 in the US, the Sigma 105 lens is much cheaper. The shipment date of other seven Sigma FE ART lenses are delayed to late May and some in mid June. This entry was posted in Sigma Lens and tagged Sigma 105mm F1.4 DG Art lens, Sigma lens rumors on May 26, 2018 by admin.